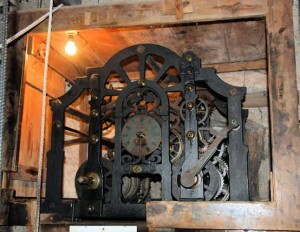 Five new volunteers will be winding the church clock every week. Mark Riddick, Roger Harman, Peter Kitchener and Alan Smith have been doing this job for over 15 years and recently decided to call it a day. We are grateful to them for keeping the clock going. The new clock winders are Lawrence Aspinall, Andy Agg, Kevin Crockford, Geoff Cooke and John Williamson. 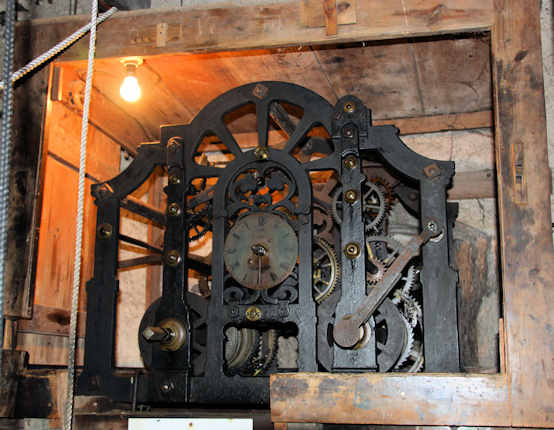 They will be taking it in turns to climb the tower to the clock chamber and wind up both sets of weights. It is an old clock so it does not keep time very well so they will need to adjust it from time to time. The clock was installed in 1864 by the maker, Mr G. lve of Cornhill, London. The cost of £100.15.3d was raised by public subscription. The Parish Council kindly pays the annual servicing charge, presumably on the basis that it provides a service for parishioners. Recently Hilary Moore took on organising the rota for the church flower arrangers. She has also recruited more helpers to spread the load. We are grateful to these an many others who give up their time to help keep the church going.